A new device implanted following early-stage breast cancer surgery will enable subsequent radiation treatment to be more precisely delivered to the patient and provide for better follow-up exams. 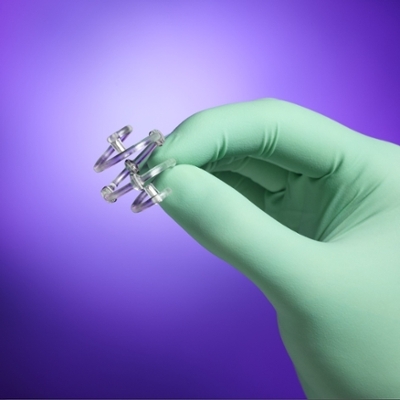 Following a lumpectomy or partial mastectomy, the BioZorb Tissue Marker, a three-dimensional spiral device with six embedded titanium clips, is implanted in the cavity of the breast from where a cancerous tumor is removed. The device is then stitched into the cavity. Over a year or more, the body absorbs the device while the clips remain in place to highlight the location of the resected tumor for radiation, or for other follow-up care. Rogsbert F. Phillips, MD, a community-based breast surgeon at Emory University Hospital Midtown, has implanted 30-40 devices in the past year with good results. "The BioZorb absolutely defines the location of the breast tumor, which may ultimately spare healthy tissue from radiation," says Phillips. "Over the past year, I have implanted the device in 90 to 95 percent of my patients who undergo lumpectomies and partial mastectomies, otherwise known as breast-conserving surgeries." In addition, the device comes in various sizes and assists in filling in the surgical cavity from where the tumor was removed, achieving better reconstructive and cosmetic results for the patient. "This device helps us to better localize the surgical bed, particularly in patients who may have a delay in radiation treatment after surgery and where the surgical site may not be so evident," says Karen Godette, MD, associate professor of radiation oncology, Emory University School of Medicine and medical director of the radiation oncology department at Emory University Hospital Midtown. "It is also especially good in patients who have oncologic breast reductions with tumor removal, because we can identify the tumor bed despite tissue rearrangement. With more accurate delineation, many times comes a reduction in volume of normal surrounding structures that are treated." Godette is also a Winship Cancer Institute member. When patients undergo breast cancer surgery, the goal is to remove the cancerous tumor and some of the surrounding healthy tissue. The type of surgery depends on many factors including a patient’s preference. Lumpectomies, or breast-conserving surgeries, are usually used in women who have small, uni-focal, early-stage breast cancers. In a partial mastectomy, the surgeon removes more breast tissue than with a lumpectomy. Both types of surgeries are then followed with radiation to decrease the chance of a local recurrence, and treat any of the cancer cells that may have been left behind. Mastectomies are used for larger, more aggressive cancers. Bilateral mastectomy is a preventive surgery that is performed when there is a high risk of developing cancer in the other breast. The BioZorb was approved for use by the U.S. Food and Drug Administration (FDA) in 2012 and is covered by most insurance companies.